Le Restaurant de PAUL can be found in two of our branches in London – the intimate charm of our Covent Garden building and the sleek, contemporary Tower 42 in the Square Mile. Both offer all-day dining in the r'estaurant du boulanger’ style, with plenty of excellent regional and seasonal French dishes. Le Restaurant de PAUL Covent Garden is right in the heart of things, just around the corner from the world famous Piazza. 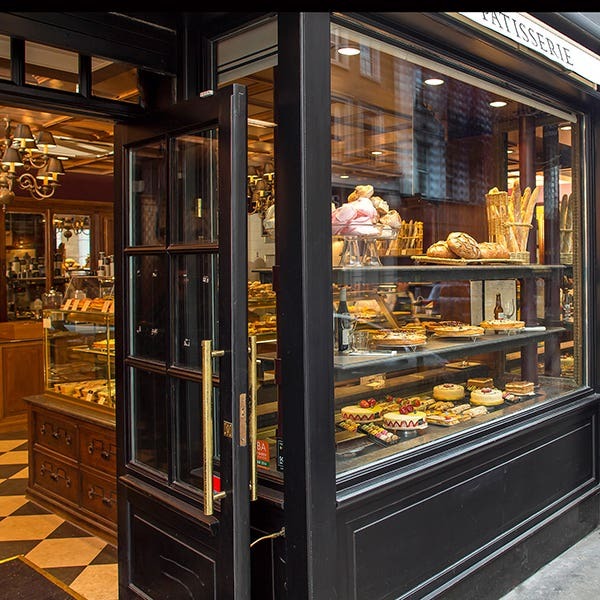 The restaurant can be found at the back of the existing bakery and patisserie and has plenty of old-style French charm. Open from 7.00 am to 10.00 pm on weekdays and 8.00 am to 10.00 pm at the weekends, our Covent Garden restaurant serves breakfast, lunch, afternoon tea and dinner. It’s also the perfect place for a pre-theatre supper or brunch at the weekend. We offer an excellent value two or three course pre-theatre dinner menu available between 5.30 pm and 8.00 pm. 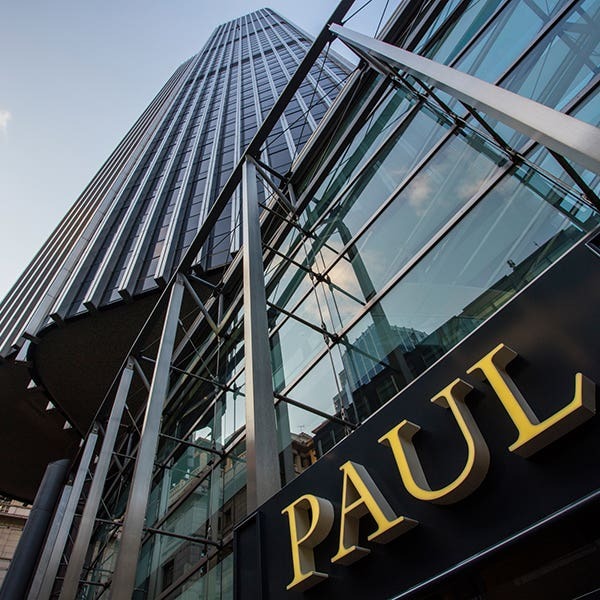 In The City, Le Restaurant PAUL Tower 42, located at the base of one of London’s iconic skyscrapers on Old Broad Street, has taken its time-honoured traditions and added a destination wine bar alongside its smart, all-day authentic French dining. Open from 6.30 am – 11.00 pm, Monday to Friday, we cater for early birds right through to after office relaxers. For city workers in a hurry we offer an Express two or three course set menu from 12.00 noon until 3.00 pm, and our very popular Happy Hour from 5.00 pm – 8.00 pm with all our cocktails at £5.00.